WinAte released complete transformation pack for Ubuntu and Debian 8 lovers. 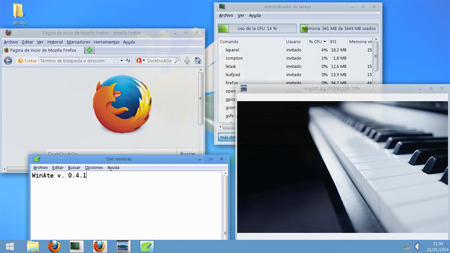 Some people love to install Windows or Mac transformation pack on Linux operating systems. And this involves applying a theme and an icon pack, but some developers go through a lot of trouble to make the process easier. “With this brand-new WinAte – Windows 7/8 Transformation Pack for LXDE – you will be able to get all the icons and overall appearance of Windows to your GNU/Linux box, without spending lots of resources nor having to adapt old Gnome 2 themes. Everything works just by executing the install.sh script. Just do that, logout and login again, and there should be a different feeling in the whole system,” says the developer of WinAte. Download: WinAte- Windows 7/8 Transformation Pack.